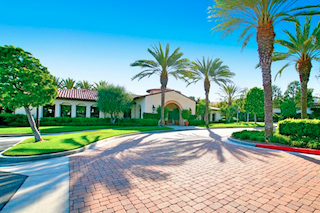 Talega Gallery is an exclusive active adult community of luxury homes in a picturesque California setting. From sunny Southern California to Washington's gorgeous Puget Sound, the West Coast makes it easy for active adults to find impressive retirement destinations. If you are considering a West Coast retirement, here are 10 great golf communities to help you begin your search. Built between 2003 and 2011, by K. Hovnanian, Four Seasons at Hemet is a beautiful 55+ community in the heart of Southern California's Inland Empire area. This gated development features 1,106 affordable single-family homes, an amenity-rich, 25,000 square-foot clubhouse and an 18-hole golf course. Set in Southern California's beautiful Orange County, Talega Gallery is an upscale community of just 283 luxurious homes. This elegant development was specifically designed for active adult living. The community offers its own inviting 8,500 square-foot clubhouse, as well as access to the nearby Talega Swim and Athletic Club, and the 18-hole Talega Golf Course. The Presley Company began development of Sun Lakes Country Club in 1987. Pulte Homes acquired the community ten years later and completed its construction in 2003. Today, this gated 55+ community offers resort-style amenities spread across three clubhouses, and approximately 3,300 condos and single-family homes. In the Palms Spring area, Heritage Palms Country Club was designed to meet the needs of many diverse active adults. Its 1,004 homes feature designs in a wide range of styles, sizes and prices. Highlights of its impressive amenities include the 27-hole Heritage Palms Golf Club, a 32,000 square-foot clubhouse and the Heritage Palms Restaurant. 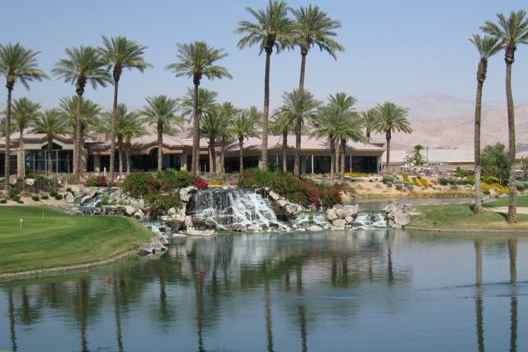 Sun City Palm Desert is renowned for its fabulous golf, world-class amenities and exciting lifestyle. With 4,949 homes, Del Webb's Sun City Palm Desert is the largest 55+ community in California's Coachella Valley. Multiple clubhouses offer numerous amenities including restaurants, meeting areas, classes and clubs. The spectacular grounds further support an active lifestyle with outdoor swimming pools, varied sports courts and the 36-hole Mountain Vista Golf Club. Ocean Hills Country Club enjoys a prime location just four miles from the Pacific Ocean in the popular San Diego area. This gated, 55+ community was built between 1984 and 1999, by Ryland Homes, and now includes 1,632 homes in both attached and single-family designs. Ocean Hills also offers a 30,000 square-foot clubhouse, an 18-hole golf course and an exciting line-up of social and recreational activities. With approximately 6,700 homes and an impressive range of amenities, Rossmoor is a golf community which accommodates many different active adult homebuyers. Residences were developed over the course of more than 30 years to feature many home styles, sizes and prices. Resort-style amenities span five clubhouses, while the impressive grounds offer many recreations, including a 27-hole NCGA-rated golf course. Opened in 2005, and still under construction, The Falls at Eagle Crest is an intimate enclave of just 213 homesites within the larger Eagle Crest community. Although it is small, this 55+ community offers its own 6,000 square-foot clubhouse. Residents also have access to the amenities in Eagle Crest, including three sports centers, two 18-hole championship golf courses and an 18-hole putting course. Jubilee at Hawks Prairie is a 55+ golf community set in beautiful Western Washington. It was opened by Jenamar in 2004 and acquired by Shea Homes in 2010 with plans for 940 single-family homes. In addition to its impressive views of Mt. Rainier and the Puget Sound, the community offers a 26,000 square-foot clubhouse as well as a 36-hole golf course. Set in the outskirts of Seattle, Trilogy at Redmond Ridge opened in 2001, by Shea Homes, with plans for approximately 1,500 single-family homes. Highlights of the community's impressive amenities include a state-of-the-art fitness center, the full-service Tranquility Spa, the Center for Learning and an 18-hole championship golf course.